As a business owner, you’ve probably heard about “customer experience.” In fact, it is one of the main areas of focus for most businesses nowadays—and for good reason. Whether amazing or absolutely dreadful, customer experience has the ability to make or break your business. CX pundits offer numerous ways to improve customer experience, most of which require extensive time and/or resources. Thankfully, not all CX efforts require such labor. For instance, some simple changes to your website copy can help you enhance your customer’s overall experience with your business. Around 86% of your customers are willing to pay more for great customer experience. In fact, 65% of customers find a positive experience with a brand to be more influential than great advertising. These stats show just how important superb customer experience is to the success of your business. Great customer experience allows you to stand out from the competition, helping you provide memorable service that keeps them coming back for more. Put simply: Your customer should be your top priority in all aspects of your business. How do you provide this memorable experience? Start by looking at the first place your customer will get to know you: your website. Here are a few tips you can use to create website content that offers your customers an unforgettable website experience. Your website content should be easy to digest, written for those who like to skim for important information. Write using short sentences and paragraphs. Also, use section headers and whitespace to break up large amounts of copy. Use the Hemingway App or the tools in Microsoft Word to check your readability scores, which should be at a grade level that best fits your ideal audience (we aim for 8th or 9th grade in most of our copy). Is your business a bit technical to those unfamiliar with your niche? Law firms, accountants, medical practices and other professional or technical business may find their content a bit more advanced. It’s best to speak to the beginner as much as possible, leaving jargon out of your copy. After all, your customer is looking to you for advice. They don’t need to know every little detail (that’s what you’re there for). Here is your one excuse to be bossy: the call to action. Your customer is waiting for you to tell them what to do next. On each page of your website, make sure you offer a call to action. Use a “contact us” button or offer a free download or lead magnet. Whatever you choose, make sure it stands out from the rest of your copy using color, call-out boxes and other design features meant to catch the eye. Your potential customers want to purchase from someone they connect with. The best way to drive that connection is by telling them a story they can relate to. In your copy, be sure to tell your unique business story by explaining why you do what you do, your vision, values and more. Don’t focus on just the features of your service, but on the benefits—the transformation your customer will receive after working with you. 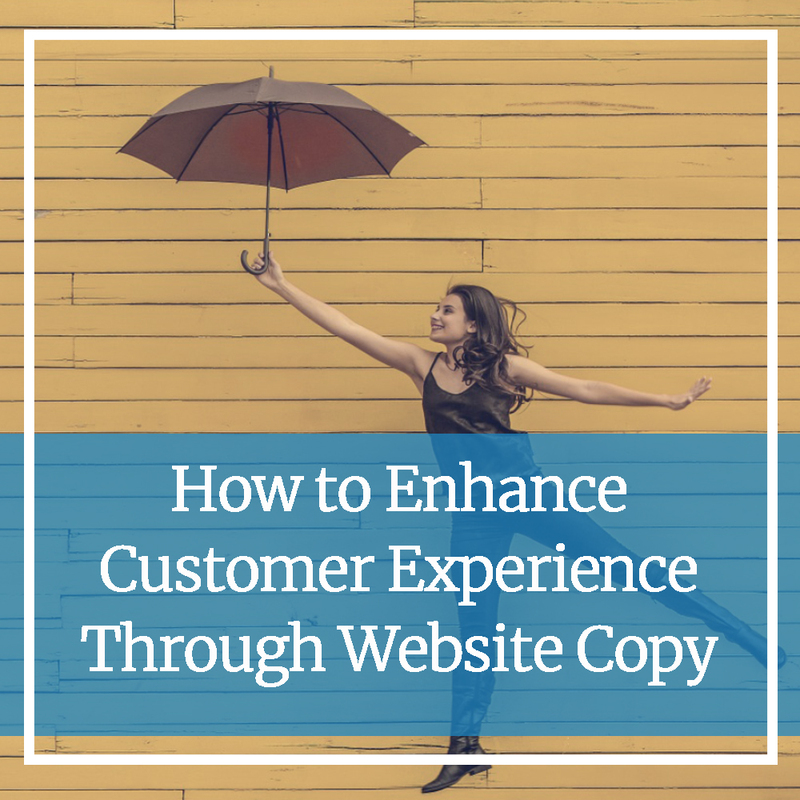 Does Your Website Copy Deliver a Positive Customer Experience? If so, you’re well on your way towards business growth. But, if your website content is lacking, now is the time to make a change. To learn more about writing customer-centric copy, send us a message.